Mom, the Intern: New Year's Resolution: cook more, eat out less! New Year's Resolution: cook more, eat out less! This post contains affiliate links. All prices subject to change. When I was first embracing stay-at-home parenthood, I LOVED to cook! I was eager to try all the recipes my mom had made before and enjoyed looking up new ones, too. I was keen on using fresh ingredients and a variety of flavors and textures. I even made my own bread for several months after Carson was born! Then, the kids got older, and this mom got busier. Still, I would find it within myself to cook at least five nights a week, even if it was something simple. I was bound and determined to save money and keep our family healthy. Well, the combination of suffering from depression/anxiety related to the death of my mother and getting a new part-time job playing piano for a high school choral program made 2017 the Year of Taco Bell 'round these parts. Every day around 4:00 in the afternoon, I would run into a massive brick wall of fatigue accompanied by a headache and joint pain, and cooking was the absolute last thing I wanted to do. So, take-out was the answer. At first, I considered eating out as a form of self-care -- I was grieving and needed to be gentle with myself! And yes, that was true, but eating fast food on a regular basis is NOT self-care. In fact, it was making me feel worse. And my family was suffering, too. My kids stopped enjoying fruits and vegetables as much as they had before. 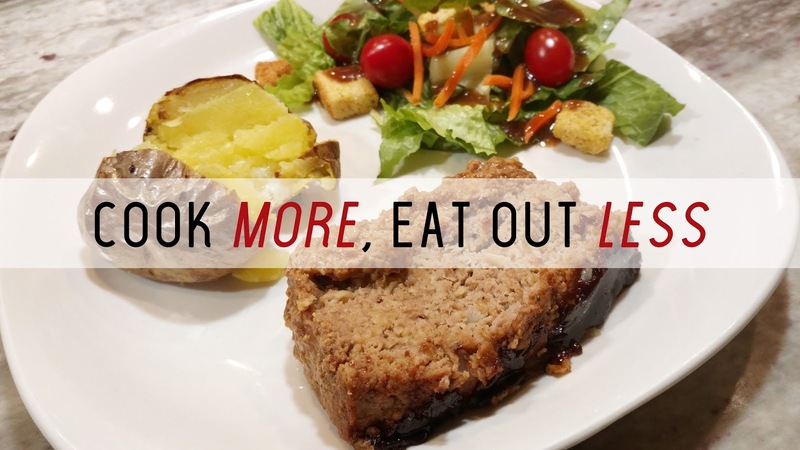 So this year, I am resolving to cook MORE and eat out LESS, and I am inviting you to join me! Now, I'm not going to assign any specific requirements to this resolution here on the blog, because everyone is different. It's up to you to determine the details of your own cooking goals. But, allow me to offer some suggestions -- things that have encouraged me to cook for my family more often instead of relying on the nearest fast food chain for dinner. 1) Plan your meals. Have you ever decided you'd like to make dinner, only to realize all you have in your pantry is a half-rotten potato and can of soup? Yeah, we've all been there! Success in regular meal-making requires you begin with the end in mind. Write the meals you want to cook on the calendar, make a list of the ingredients you need to purchase for each meal and add it to your weekly shopping list. Or, if you'd rather use the power of technology, there are TONS of apps designed to help with meal planning! Try Yummly, MealPlan or Pepper Plate. 2) Ease into full-time meal preparation with 'hybrid meals.' You don't want to eat out so frequently, but you also aren't quite read to jump into from-scratch Martha Stewart mode just yet. Understandable! Luckily, there are a lot of options to help you prepare a meal so you don't have to do all the work. For example, you can buy a rotisserie chicken from the store, but make your side dishes at home. Or, do the reverse -- make the lasagna yourself, but buy a loaf of sliced French bread and a bag of salad to go with it. There are also meal kits you can use. My favorites are the Street Kitchen Scratch Kits which you can get at Walmart for under $3! They basically come with all the spices and sauces you need to make various ethnic foods (curry, stir fry, Korean barbeque, etc.) -- you provide the meat and anything that accompanies the dish, such as rice. The package tells you what is included and what you need. It's simple and YUMMY! We are big fans around here. 3). Use a slow cooker or Instant Pot. 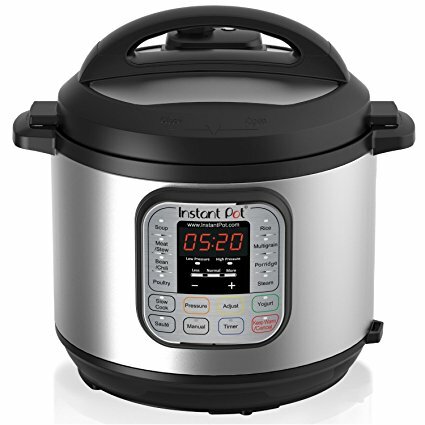 I recently mentioned I got an Instant Pot on Black Friday, and boy, has it really helped me out! So far, I've made pasta, rice, chicken and a tri-tip roast in my Instant Pot. Because it's a pressure cooker, it cooks food VERY quickly -- the tri-tip went from raw to beautifully cooked in under an hour! It's so efficient and the food turns out wonderfully. The Instant Pot also has a slow-cooker function, but if you don't already have an Instant Pot, you can use a good ol' Crock Pot instead! Put your meal in the pot in the morning, forget about it, and have it ready to eat by dinnertime. A time-tested cooking method for the busy parent! 4) Enlist the help of your family. Making an entire meal is a daunting task, but many hands make light work. My friend Tiffany at A Family Team is an amazing example of this. She teaches her children from a very young age how to cut produce, make meatballs and do all sorts of grown-up tasks around the kitchen so she never has to cook alone. And as a wonderful bonus benefit, she gets to spend that time bonding with her kids! On both her blog and YouTube channel, Tiffany offers tons of suggestions for teaching kids to safely complete various kitchen tasks, and she also has a lot of family-friendly recipes to try. Additionally, she talks a lot about grief because she delivered two stillborn babies during 2017. She has been such an example to me of how to persevere through the sorrow of loss while also being kind and gentle with yourself. I am so grateful to call her my friend! So, what will your 2018 cooking goal look like? Perhaps it will be to eat out only once a week. Maybe you will resolve to use more fresh ingredients in your cooking, or more whole grains. Or, you could resolve to learn one new recipe every month! Share your ideas in the comments. 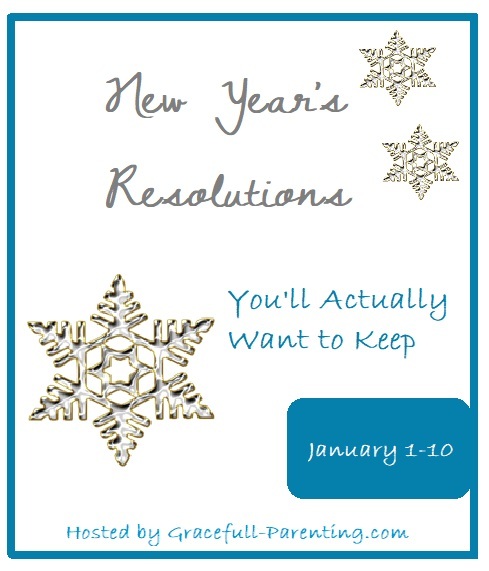 Thanks for joining this New Year's Resolution Blog Tour, hosted by Cheryl at GraceFull Parenting! Be sure to follow the link to her blog for more goal ideas from other bloggers. Happy new year! Wonderful resolution! And it saves so much money. I have to plan ahead or it just won't happen. YES! Planning is definitely key! Thanks, Kristie! Great ideas! And I think Tiffany is amazing too. I have been having my kids help out more in the kitchen with her example. For sure need to cook more. We started eating out less when Chris was officially diagnosed a diabetic, but i need to keep my cook at home game strong. Great ideas! If your husband is diabetic then you need to check out ketogenic cooking. My fiance went from an injectable and three other diabetic meds with a HgbA1C of over 8 to under 6 in three months. He is off all of his meds except for metformin. The dr is thrilled!!! High five, Kim! We got this!